The Initial Heart Personalised Bracelet is a lovely, delicate slider bracelet featuring an engraved initial of your choice. Our Initial Heart Personalised Bracelet is a beautiful slider bracelet on a fine box chain, available in silver and rose gold. Colours available: Silver and Rose Gold. 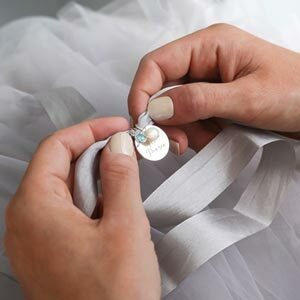 Why not personalise your item with a beautiful faceted Swarovski crystal birthstone charm. We have a charm for every month of the year, perfect for making your bracelet totally unique! 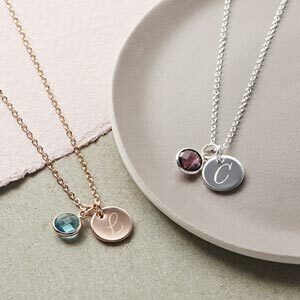 You can also choose from rose gold or a silver finish to your charm.